Sebastian Bernburg is currently an intern at the Institute for Palestine Studies in Washington D.C. He has a B.A from Roskilde University in Denmark and a M.A in history from the George Washington University. Sebastian W. Bernburg presented an earlier version of this review essay at the 2017 Book Review Colloquium on Islamic and Middle East Studies organized by Ali Vural Ak Center for Global Islamic Studies at George Mason University. Both books examine what would be considered by many in the field of Middle East Studies and beyond to be the periphery of the Islamic world, the Western Indian Ocean during the nineteenth century. This region was particular in that it was a space embedded in technological and judicial contrasts, ethnic diversity, and a contest for sovereignty. In this space, Islamic law, and its relation to commerce, was neither static nor uniform – it was continuously reinterpreted and highly diverse. Islamic law in the time and space he is studying, instead of viewing Islamic financial mechanisms and institutions as a product of centuries-old monolithic laws, like so many others have done before him. The two books complement each other well precisely because of the authors’ different methodologies, foci and the type of documents they use. Johan Mathew’s primary focus in Margins of the Market is the intersection between how Europeans sought to redefine licit and illicit commercial practices in the Western Indian Ocean and the way in which those merchants, who suddenly found themselves on the ‘margins of the market,’ responded to these changes in order to maintain their trade operations. What also emerges, however, is the notion of Islamic law being utilized as a medium to evade European imperial impositions. The first real attempt to undercut Omani sovereignty by European bureaucrats was the signing of the 1822 treaty between the Sultan of Muscat and Zanzibar and the British Empire, which abolished slavery. This was the first example of what Mathew calls framing out. Central to his argument is the notion that European bureaucrats, as their presence in the region intensified, sought to frame out certain elements of economic life in an effort to create a homogeneous order of exchange. The framing out of slavery, violence, and counterfeits prompted responses by the Indian and Arab merchants, who were now on the margins of the market, and who instead had to utilize family ties, personal networks, and Islamic law to circumvent these new British rules. Slavery as a practice did not cease to exist because of the 1822 treaty, but slavers found new ways of transporting their slaves by reframing them as domestic slaveholding rather than available at the market place. “Slave traders discovered that the best way to avoid detection was not to be invisible but rather to make slaves perfectly visible to British authorities as servants.” (Mathew, 68). In essence, slavers reframed their activities as Islamic to the British authorities, allowing them to circumvent the new regulations. Besides seeking to frame out commodities and modes of transportation such as the dhow, the European officials wanted to reinvent modes of exchange in the region. As European intervention continued to intensify, the different imaginaries of market and money between natives to the region and Europeans became more pronounced. European regulators strove to commoditize money making it easier to measure value across different regions. In contrast, Islamic institutions such as the muhtasib, the market inspector, were already in place regulating markets and upholding the morals of exchange. The muhtasib governing of the market exchanges was embedded not only in the prevention of hisba, preventing evil and encouraging good as prescribed in Islamic law, but also through the prohibition of unequal exchanges such as those stipulated in the famous hadith gold for gold/ silver for silver. Therefore, coins found around the Western Indian Ocean were evaluated by their metallic content and not by the imagined value of the coin itself. Mathew’s method of shedding light on the silent elements of the market by utilizing mostly British archival documents is largely successful. Particularly in the first three chapters, however, he appears to be over-amplifying the significance of the silences in the sources that he seeks to give a voice. Surely, the irritation and constant renewal of regulations does display practices on the margins of the market. However, to what degree? We cannot know the scope of these illicit activities, particularly when the sources he uses predominantly speak to only a few cases each. We also do not know the extent to which the regulations introduced by the British, and at times the European community, was a result of speculation or a few number of cases that proved illicit trafficking, or if their regulations were due to the large scope of illicit activity that Mathew is suggesting. In any case, the examples that Mathew employs, in his well-written narrative, does show us that with structure, agency follows. Perhaps even more importantly, Mathew reminds us that the roots of capitalism were not based on an ideal of free markets, but formed by extensive regulations that dictated what was to be framed as licit and illicit in the market. Fahad Bishara’s A Sea of Debt seeks to reconstruct the changing political, social and financial environments of the Western Indian Ocean through the medium of waraqas, deeds of debt, which Bishara persuasively argues regulated cross-cultural exchanges and relationships between Arab, Indian, African, and British actors. Similar to the trajectory seen in Margins of the Market, Islamic financial institutions eventually became redefined and were phased out by the intensification of British bureaucracy during the late nineteenth century and into the early twentieth century. Debt is permitted according to Islamic law, however interest-bearing loans are generally perceived as prohibited. The partnership contracts, mudaraba, had been utilized since the early days of the Islamic era for generating capital for business ventures in a world where interest was prohibited. Another system of generating capital and allowing for social mobility developed gradually in the form of different kinds of ‘pawnship loans’. The preferred pawnship loan in Oman and Zanzibar in the early nineteenth century was the khiyar sale, which was tied to the loaner’s property. Bishara defines the khiyar sale as “an exchange of capital (i.e. a loan) for rents (i.e. harvest or monetary payments) for a finite period of time, after which the debtor could redeem the property or transfer it to his creditor.” (Bishara, 92). Because the waraqa was such a prominent facet of exchanges in the nineteenth century, Bishara concurs that the non-Muslim or non-Arabs were drawn into “a distinct Arabian social imaginary,” Which included not only individuals, but also corporations. Bishara’s observation regarding the ascription of legal personhood to corporations is another facet of the book, which illuminates the flexibility of the Muslim jurists. A conventional critique, by those claiming that Islamic law held back the Middle East, is that Islamic lawmakers failed to incorporate the notion of corporations. However, as shown by Bishara that was not the case in the Omani Sultanate. Interestingly, it was not only the Europeans that transformed the khiyar. It was transformed over time as merchants asked Islamic legal scholars, like Khalili, about what criteria made transactions permissible. It is exactly the focus on transformation of the legal loan practices that makes A Sea of Debt such a valuable contribution to the field of the legal history of Islam. By focusing on the legal framework of one polity, the Omani Sultanate, in a limited time-frame, Bishara is able to contest narratives that articulate practices embedded in Islamic jurisprudence as static. Bishara, with A Sea of Debt, writes himself into the discussions that arose particularly after the publication of Timur Kuran’s The Long Divergence, by providing a new approach to the field. Rather than proposing a grand narrative of how Islamic scholars in the first 300 years of hijra formed the trajectory of Islamic finance that eventually led to an unequal power balance between the East and West, he proposes a more region- specific and context-based approach that shows that market fluctuations and local- and geo-politics shaped the reality of state and individual actors. A Sea of Debt is an important contribution to the field as it proposes a new and beneficial approach to the study of the history of Islamic law, which is wrapped in a page turning narrative that de-essentializes the framing of Islamic law by looking at a specific time and space. While A Sea of Debt and Margins of the Market are undoubtedly top-notch research manuscripts, one aspect of both books that is vulnerable to critique is the general lack of explicit reflection in regards to their usage of primary source material. Mathew’s reliance on archival documents prompts questions related to how he is dealing with the framing in, and selection of, the documents stored in the UK, India and Zanzibar. Bishara’s utilization of the two fatwa collections, the waraqas and the court material stored in the Zanzibar archives similarly raises questions of to which extend these are able to reconstruct the whole story of the legal history of the region. 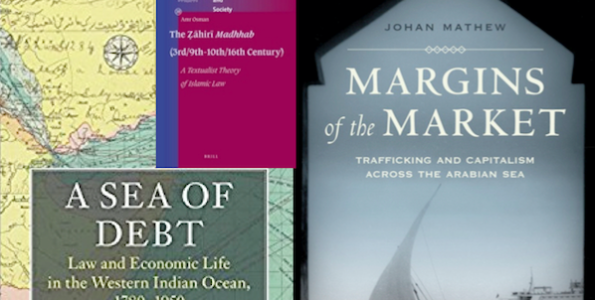 By narrowing temporal and spatial limits, the authors of A Sea of Debt and Margins of the Market show that Muslim merchants and lawmakers were flexible in adapting to the changes that the nineteenth century brought to the Western Indian Ocean. What the longue durée grand narratives depicting Islamic law often tend to forget is that practice and theory are often interlinked, pushing the boundaries of each another. As international commercial practices and finance have changed over time so has the legal devices available in the wider toolbox available to the realm of Islamic law. The debates over riba, or usury, in post-colonial Pakistan is one out of many on-going examples that reflect how different Muslim scholars have sought to reinterpret Islamic jurisprudence in a changing international financial environment. The growth of the Islamic financial industry, especially in England and the United States, and the debates over the different financial devices that are considered ‘sharia compliant’ is similarly beneficial to keep in mind when studying the history of Islamic law and commerce. 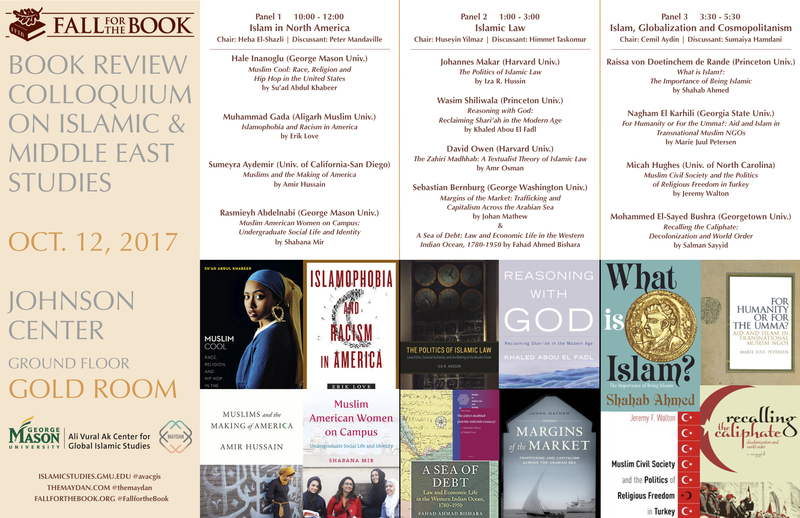 With their respective manuscripts, Mathew and Bishara show that these debates are not uniquely new – a crucial lesson for those interested in the history of Islamic law.